Seidlitz Family Blog: Two posts in one day! After only making one post in January, here is my second post of the day! Finally, Maddy has somewhere to sleep during the day. Our new couch was delivered today. It arrived this morning from Brantford (Sleep N Comfort is the name of the company). 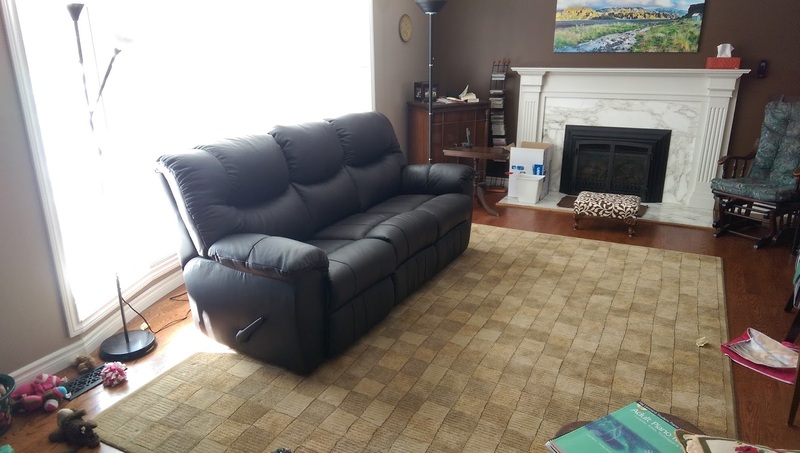 The full leather couch was made in Winnipeg (Palliser). 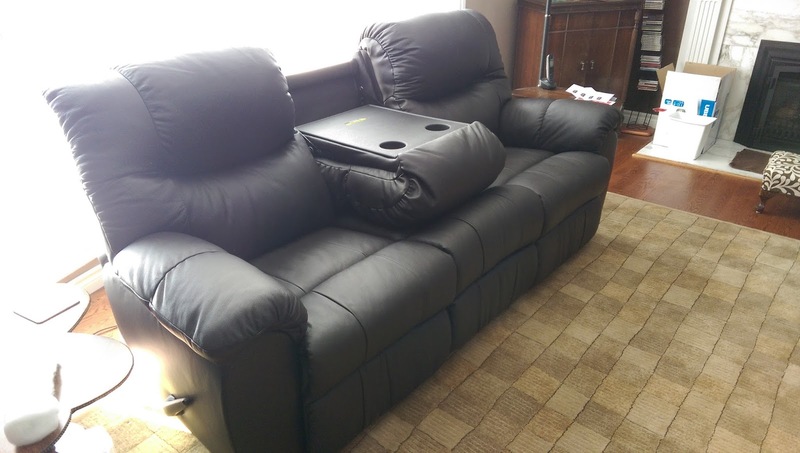 It has a table in the middle and mechanical recliners on both ends.